PropertyUp announces this 2 bedroom condo at 2392 Oak Hill Road, Unit 1056, in Lake Barrington, Illinois 60010. 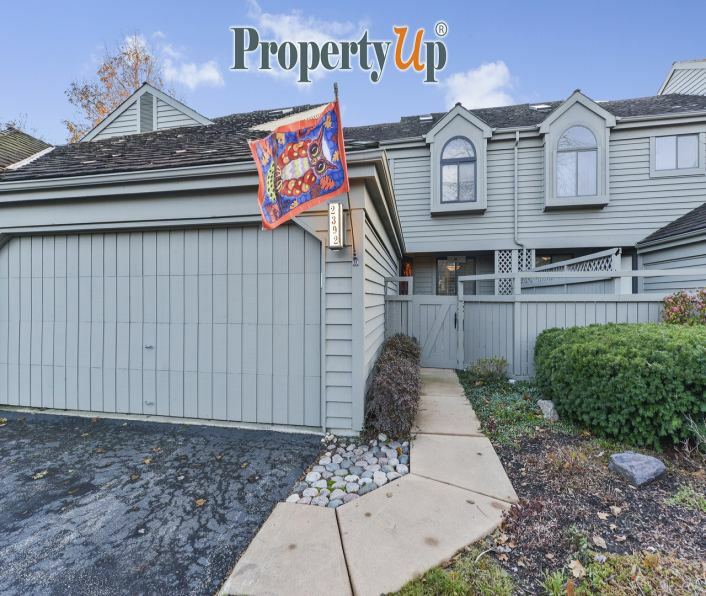 LAKE BARRINGTON, Ill. - April 4, 2018 - PRLog -- PropertyUp announces this 2 bedroom condo at 2392 Oak Hill Road, Unit 1056, in Lake Barrington, Illinois 60010. This 3 story townhouse at the Lake Barrington Shores Condos is the perfect place for someone who doesn't want a lot of home maintenance, but wants a property that feels more like a traditional home. "The thing that impressed me about this condo is the attention to detail throughout," said John Herman, broker of PropertyUp. "It's also a very nice setting, lots of green space and a pretty pond in back, very serene." In addition to 2 bedrooms the condo has 2 full baths and 2 half baths. Built in 1989 the condo has 2287 square feet between the upper living areas and the finished area in the basement. The condo also has a useable loft area in addition to the 2 bedrooms. The kitchen has been updated with granite and stainless steel appliances. There are also newer windows in most of the condo as well as newer appliances and HVAC system. The Kensington condo has a gated front entryway, a two sided fireplace, and a two car attached garage. The walk out lower level features a family room w ith an updated fireplace and a unique reclaimed barnwood wall. There is central air and in unit laundry. Pets are allowed. There is a $437 monthly fee which includes water, common insurance, security, tv/cable, clubhouse, exercise facilities, pool, exterior maintenance, lawn care, scavenger, and snow removal. The condo amenities include bike room/bike trails, boat dock, exercise room, golf course, health club, on site manager/engineer, party room, sun deck, indoor and outdoor pools, restaurant, tennis courts, gated entry, and paved street. The condo is in school district 220. The 2016 taxes were $6176.48. The motto is a "a great place to live, work and play." Population is estimated at 42,934, with 15,713 households. Over 6000 homes feature children, and there has been a 3% population grown since 2000. The median age is 33.45 years of age. The population is 50/50 male/female and 71% of the population is married, 19% are single. Divorced, widowed and separated make up the remaining population.The median home sale price was $465,000, with an annual turnover rate of 14.59% and 45.87% of the residents stay in their home 5 years or more. Retail is the largest employer, followed by services, construction, manufacturing, finance, and transportation and communication. Seventy-nine percent of the population is employed in white-collar jobs. The overwhelming majority (83%) drive to work, while a small percentage (8%) use public transportation. Most Barrington residents are college educated with 9,732 earning bachelor degrees, 6,145 with graduate degrees, 4,429 reporting "some college" and 1724 with associate degrees. Barrington features a large variety of public and private schools at all levels. The public schools get a 10 rating from the Great Schools rating system. It is the 220 school district. Students living at this property would attend North Barrington Elementary, Barrington-Prairie Jr. High and Barrington High School.